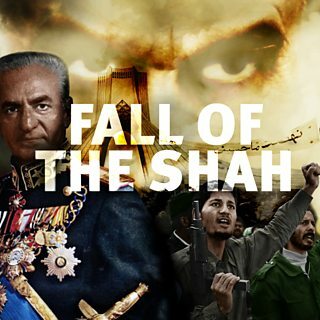 A nine-part drama podcast and radio series Fall Of The Shah, written by STEVE WATERS, tracks the downfall of the Shah of Iran in the late 1970s and the rise of a forceful new Islamic Republic. Launching at the time of the 40th anniversary of the 1979 Revolution in Iran, this visceral epic drama is seen from a range of vantage points: from within the Shah’s royal circle; in the torturers’ prison; on the bloody streets of Tehran; at the heart of Ayatollah Khomeini’s revolutionary leadership; in the confused reactions within the American Embassy – and in the White House itself. Fall Of The Shah is a thrilling and panoramic account of revolution; the effects of which still reverberate around the world. Produced by Marc Beeby for BBC World Service. Sound design by Caleb Knightley. Original music written by Ghamar Khaleghi.